Newark, New Jersey - New Jersey Performing Arts Center (NJPAC) presents Emmy Award winner John Leguizamo in a live performance of his Tony-nominated hit, Latin History for Morons, as part of a Netflix special filming at NJPAC, June 28th - 30th, 2018. A sold-out run at the Public Theater. A record-breaking engagement at Berkeley Repertory Theatre. A 2018 Tony Award nomination for best play on Broadway. Chalk it all up to the mad genius of acclaimed writer and actor John Leguizamo. 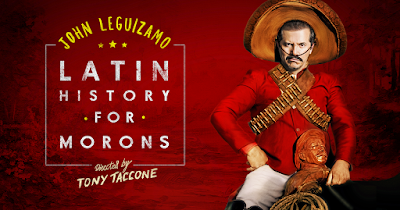 When his son gets a school assignment on heroes, Leguizamo seizes the chance to teach him all about the great figures of the Latino world. 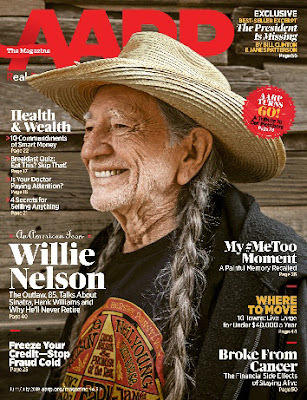 But once he sets out on his irreverent crash course across three continents and 3,000 years of history – from conquistadores to cumbia, Montezuma to Menudo, and taking on the characters in all of it – he uncovers provocative truths that shock even him. “A funny and surprisingly poignant quest for the perfect Latino hero,” writes The New York Times. Jean Shafiroff Striking in a Spectacular Blue Ballgown at the El Museo del Barrio Gala in New York City. Once again the celebrity philanthropist Jean Shafiroff stunned the crowd at the El Museo del Barrio Gala. 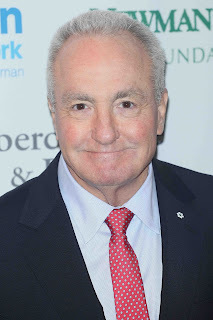 For this year's El Museo Gala held at the Plaza Hotel recently. 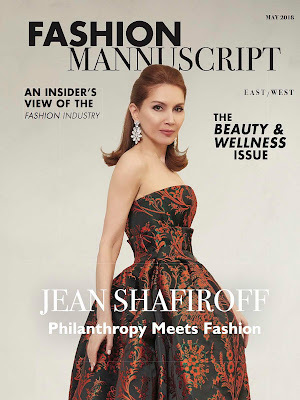 Ms. Shafiroff wore a couture gown by the designer Victor dE Souza. Her blue and green gown was hand embroidered and resembled a flower about to bloom. Jean Shafiroff attended the Gala with the designer Victor dE Souza. Founded in 1969, El Museo del Barrio specializes in Latin American and Caribbean art, with an emphasis on works from Puerto Rico and the Puerto Rican community in New York City. El Museo del Barrio, often known simply as El Museo (the museum) is a museum located towards the northern end in the neighborhood of Museum Mile, immediately north of the Museum of the City of New York and south of the future Museum for African Art. For. more information go to www.elmuseo.org. The producers of Broadway’s hit Waitress announced today that Katharine McPhee will take another shift at the pie diner when she extends her engagement, returning to the show from July 5 – August 19. She made her Broadway debut in the show on April 10; her current engagement ends on June 17. Newark, New Jersey - New Jersey Performing Arts Center (NJPAC) presents MLK Celebration. 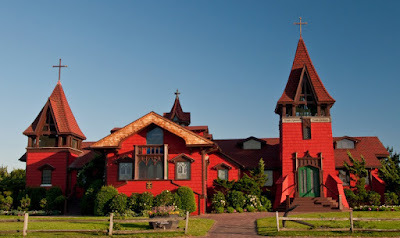 Be inspired by the life and legacy of the Rev. 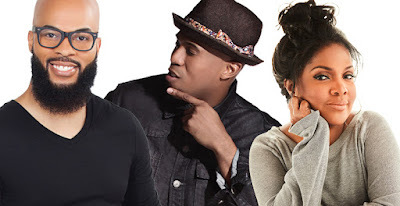 Dr. Martin Luther King, Jr. at NJPAC’s annual musical tribute, an all-star gospel celebration featuring CeCe Winans, Anthony Brown & group therAPy, JJ Hairston & Youthful Praise, and a special guest speaker to be announced on Friday, January 18, 2019 8:00 PM. NEW YORK, NY – Florence + the Machine confirm a 23 city North American fall headline tour today, kicking off August 5 in Montreal, QC and including stops at Los Angeles’ Hollywood Bowl and New York’s Barclays Center. Further dates include Seattle, Portland, Nashville, Washington, D.C., Philadelphia, Chicago and more. 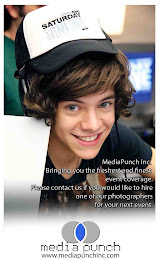 Tickets are on sale to the general public beginning this Friday, June 1 at 10 a.m. local time at Ticketmaster.com. American Express Card Members can purchase tickets for select dates before the general public beginning Tuesday, May 29 at 12 p.m. local time, through Thursday, May 31 at 10 p.m. local time. Visit florenceandthemachine.net for more information. 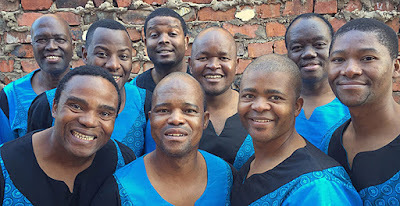 Newark, New Jersey - New Jersey Performing Arts Center (NJPAC) presents the five-time GRAMMY-winning a cappella group Ladysmith Black Mambazo – “South Africa’s Cultural Ambassadors to the world” – makes a welcome return to NJPAC. Nelson Mandela once famously labeled Ladysmith Black Mambazo “South Africa’s Cultural Ambassadors to the World,” and that description has continued to follow this acclaimed, all-male ensemble through a career that’s repeatedly taken them to the top of the world music charts. Since they were first introduced to an international audience on Paul Simon’s classic 1986 Graceland LP, Ladysmith Black Mambazo has gone on to earn a whopping 19 GRAMMY Award nominations and five wins, the most recent this year for “Best World Music Album” for Shaka Zulu Revisited. Tickets to see Ladysmith Black Mambazo go on sale Friday, June 1st at 10 AM. For tickets visit NJPAC.org or 888.GO.NJPAC (888.466.5722) or the NJPAC Box Office. Danny Trejo was all smiles when we spotted him at LAX International Airport in Los Angeles, California yesterday. Some of his Hollywood films include, Heat (1995), Con Air (1997), and Desperado (1995), the last with frequent collaborator Robert Rodriguez. Trejo is perhaps most recognized as the character Machete, originally developed by Rodriguez for the Spy Kids series of movies and later expanded into Trejo's own series of films. He has appeared in TV shows such as Breaking Bad, The X-Files, The Flash, and Sons of Anarchy. 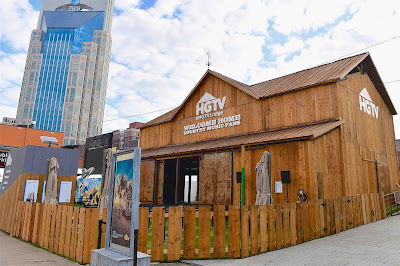 NEW YORK -- Now in its seventh consecutive year, the HGTV Lodge will once again welcome country music’s hottest stars to the network’s popular and unique venue at CMA Fest in Nashville. From Thursday, June 7 – Sunday, June 10, the 3,500-square-foot HGTV Lodge will offer festival-goers the Ultimate Country Music Fan Experience™, including live musical performances by popular artists Dustin Lynch, Jon Pardi, Kip Moore, Lee Ann Womack, Lee Brice and Luke Combs. In addition, CMA and Grammy award-winning artist and Food Network star, Trisha Yearwood, will bring her Facebook Live show, “T’s Coffee Talk,” to the HGTV Lodge, allowing fans around the world access to this intimate CMA Fest experience. HGTV stars Jonathan and Drew Scott (Property Brothers), Leanne Ford (Restored by the Fords), Page Turner and DeRon Jenkins (Flip or Flop Nashville) and Dave and Kortney Wilson (Music City Fix) also will make special appearances throughout the festival.